Seekerville: The Journey Continues: The Things We (Readers) Say! The Things We (Readers) Say! Hi! Annie here, back at Seekerville for a bit of fun. 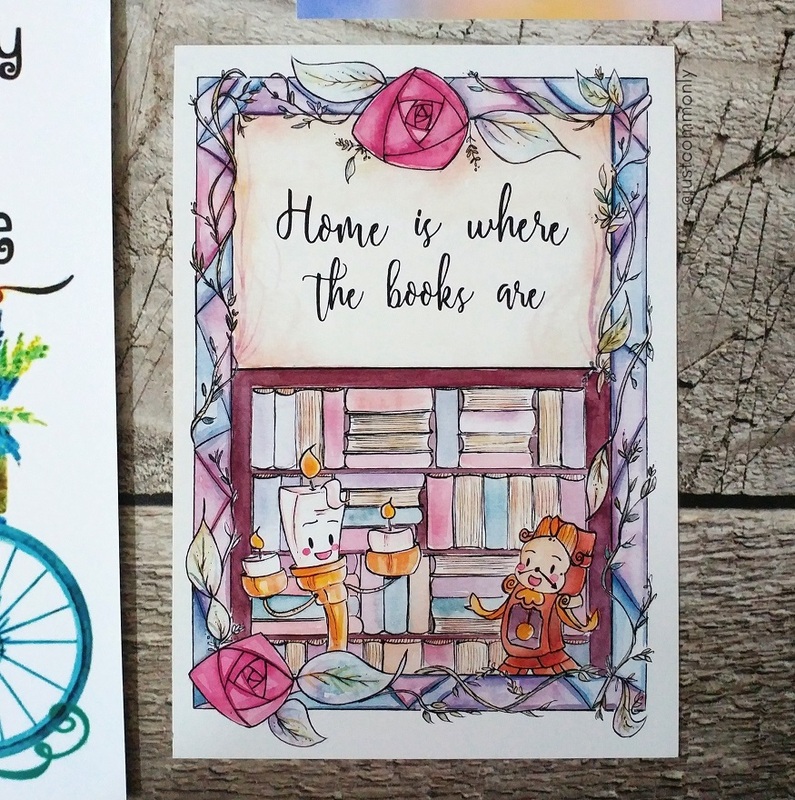 I want to talk about all the things we readers and book lovers love to say! You see, I honestly think with all the reading we do, we’re a smart bunch. Don’t you agree? These are all great sayings, and I love how it speaks to me, and reminds those that know me of my love of books. (It sure comes in handy during the holidays! *wink wink) Yet, it also reminded me the great quotes we get from the many books we read and the authors that write them on a daily basis. 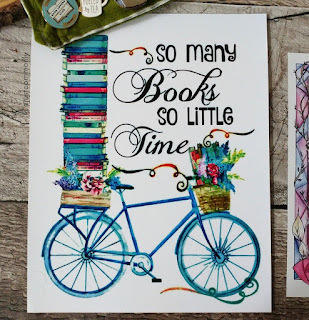 I’m a bookish quote kind of gal. 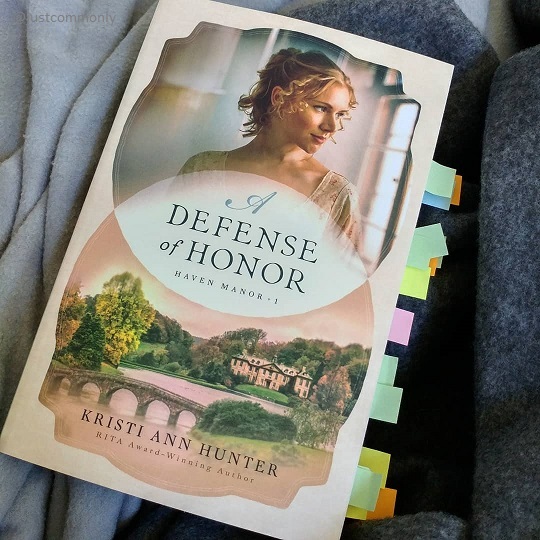 I love sharing book quotes and love page flagging the lines that just does something in either my mind, my heart or even my tummy (the little butterflies you get when you fall in love with the hero)! Sometimes, it even had me clench my teeth! Want to see some recent highlights? Let’s start with the one you see on the right here. 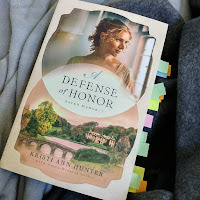 Kristi Ann Hunter’s A Defense of Honor had so many great sayings, I'm thinking about quoting it in a real life scenario! Yep, but in all honesty, I might not really want a picnic if the skies do open up! Though it’d be quite fun to say it! Plenty of examples of great quotes that'll make us laugh. I'll always remember Ruthy's "Chicken Stew, pal, chicken stew." (Bonus points for anyone that knows which book it came from!) What I refer back to often are words that encouraged and inspired, and boy I can probably fill up more than one notebook on all of them. There’s a lot we can learn from all books. 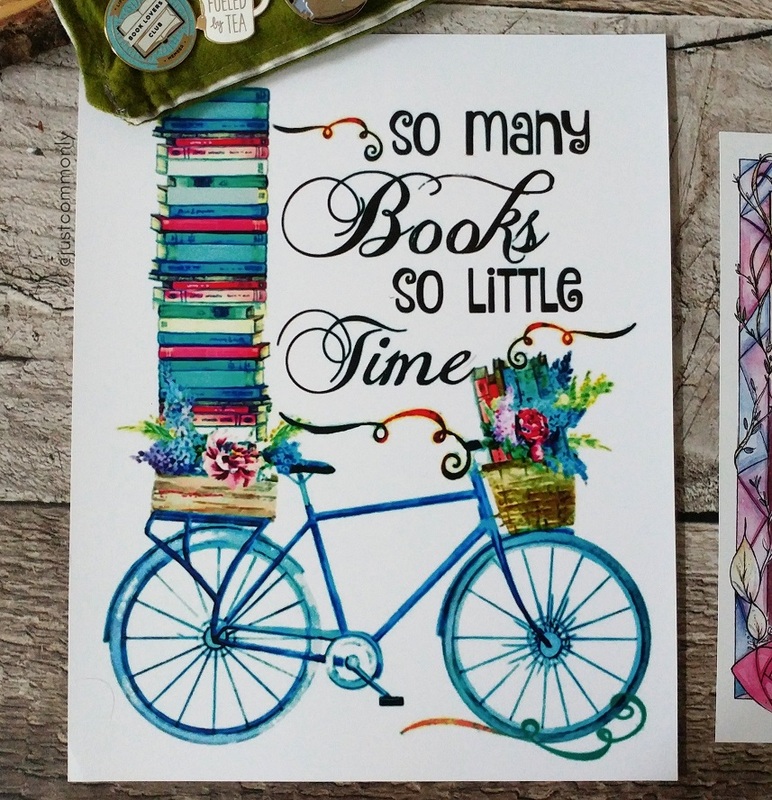 And I can’t wait until we see these quotes on some bookish goodies we’ll love to sport. We included this great quote from Dee Henderson's novella from The Cost of Betrayal Novella Collection in this month's JustRead Book Box. 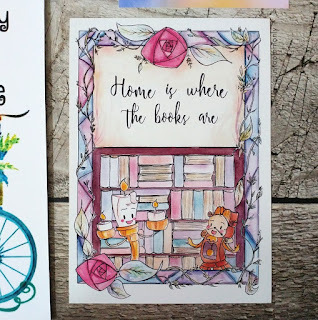 For more of my favorite quotes, check out my reviews on my blog, Just Commonly or my Instagram feed, where I’m participating in a challenge that includes a book quote a day! QOTD (Question of the day): What are some of your favorite quotes? Comment and enter for your chance to win this lovely lapel pin I bought another one just for one of you today! (Sorry, US only). Here's a couple more my favorite sayings (that I actually say!) just for your enjoyment. Now, it's time to get back to my happy place. Happy reading! Oh, this is marvelous! Someday I am going to pepper my office walls with cool sayings. It would be so much fun to be surrounded by these things and I might be egocentric enough to include a few of my own! Every time I quote something from one of my books, Beth quotes "1776" John Adams to Ben Franklin "I've got better things to do with my time than to sit around here listening to you quote yourself!" That always gets a grin. I keep thinking I should do Instagram. But my phone is still in hospital. I should call them to find out the new delay, but it's actually kind of freeing to not have it. Annie, I brought coffee and apple cider fry cakes! Welcome to fall! Wwoohoo! I love early Ruthy! Always got the breakfast goodies. I for one need some coffee! I always admire people that can quote others so easily. Kudos to Beth! apple cider fry cakes?!?! I need this goodness. One of my fave quotes is Yoda: "There is no try. There is only do or do not." And then this first line from the hymn: "Make my life an alleluia"... :) I have to remind myself of that everyday when I get snarky!!! Hahhahhaha. O, a good one since I'm quite irritable, especially in the morning without some sustenance! I love this, Annie. I'm a simple gal, though. My favorite quotes usually come from Disney movies. One's I've watched over and over and over. Things such as: "Who spit in her bean curd?" from Mulan. Yet, occasionally, I will see a sign somewhere that I have to have. Like the one in my office that says, "God is good all the time." It's a nice reminder that helps carry me through my writing day. Sweet. Milan! Yay! I'm sooo looking forward to the live action film AND our Melanie Dickerson's uocoming Milan story! How awesome is that?! I keep thinking I'll frame some quotes and plaster them on my wall, maybe some day. One of my favorites is: "Do not fear the future that does not exist in the present." It's from the book Outlaw. I have it engraved on the back of my iPod as a constant reminder. Love that! On my first Apple Mini mp3 player, I engraved "We love because He first loved us" as a reminder. I don't see engraving too often now, more using those sticker decals. I love sayings - especially inspirational. Most of my favorites come from the Bible. I do have one - "The best place to begin a book is on your knees." O, that is a good one. Thank you for sharing! an excellent sign for a writing cave! I read one time in a fiction book of course that Love is not something we feel but something we choose. that quote stuck with me me and I ended up using it in one of the books I'm writing. A little bit later my pastor said the same thing in a sermon. I am praying for all those in the path of Florence. It won't arrive here till Sunday at least that is the latest track they are saying it will take. O, I've heard of that one too! One that I definitely love to repeat too. LOL. I'm glad Florence had simmered down a bit. I was also in the path about 2 days ago, but now it veered westward. Praying for those in their track as well. Good morning! Ainnirbard, I really love your quote "do not fear the future that is not in the present"! Due to some circumstances I think I'll be putting that on a sticky note near my computer right now. :) I notice we're a little less crowded than usual for a Friday. Praying for everyone in Florence's path today and this weekend. And for the effect it's going to have on the conference next week as well. We've gotten an unusual amount of rain lately, and more along with stormy winds, not sure how much we can take. Praying for everyone's safety! I did hear a great quote the other day from someone who lives on the Virginia coast: "Preparing for a hurricane is like being stalked by a turtle." 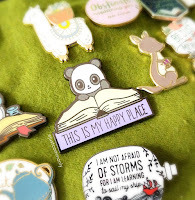 And I love those pins you pictured in your post from Teeturtle and TheCleverClove. Did you find those on Ebay? Thanks Jan! "Preparing for a hurricane is like being stalked by a turtle." That is such a good one!!! I first saw them on instagram (which is a crazy way to shop, I know, but mighty popular!). I linked to their instagram account, and they both will have their website in their bio. Or just go to their website (which I believe is adding the DOT COM behind their names). "Preparing for a hurricane is like being stalked by a turtle." - hahaha! Thank you my friend!! If you ask me to quote them off the top of my head, no can do. LOL. But I do love flipping through my notebooks or books with flags to go in search for one! Okay, Teeturtle might be my new favorite site!!! LOL. They are fun! Aren't they?! LOL. She was kind of shocked. How much fun is this post! I love talking about favorite books and quotes. I think my favorite book quotes are twists on the familiar, where the author tweaks a common phrase into one with a surprise or extra punch. The most impactful ones for me are ones that feel organic to the story. As if the surprise was inevitable and yet still catches me off guard. O me too!!! The unexpected ones are the best. Annie, I enjoyed this fun post! I'm loving all these quotes. I just decided I need to start a notebook to write my faves in. Why did I not do this many years ago??? Thanks for all the fun comments, and thanks, Annie, for the post! You're welcome Winnie! It's a habit formed during the school years. I would write down ideas (designs) in a tiny notebook. 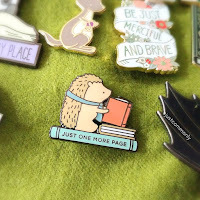 So now for bookish use! That's a fantastic idea, Winnie! I might need to steal that one! I love this. And I need to get better about tagging quotes! I highlight them in my Kindle. I’m impressed by those who share them well! Thanks for sharing those!